We were going to a friends house for dinner and I offered to do dessert so I headed to the "dessert board" on my pinterest profile and searched for something healthy but that looked delicious. So, I made apple pies for the grown ups and cupcake 'ice-creams' for the kids. Here is the picture from my pinterest board that came from this blog. 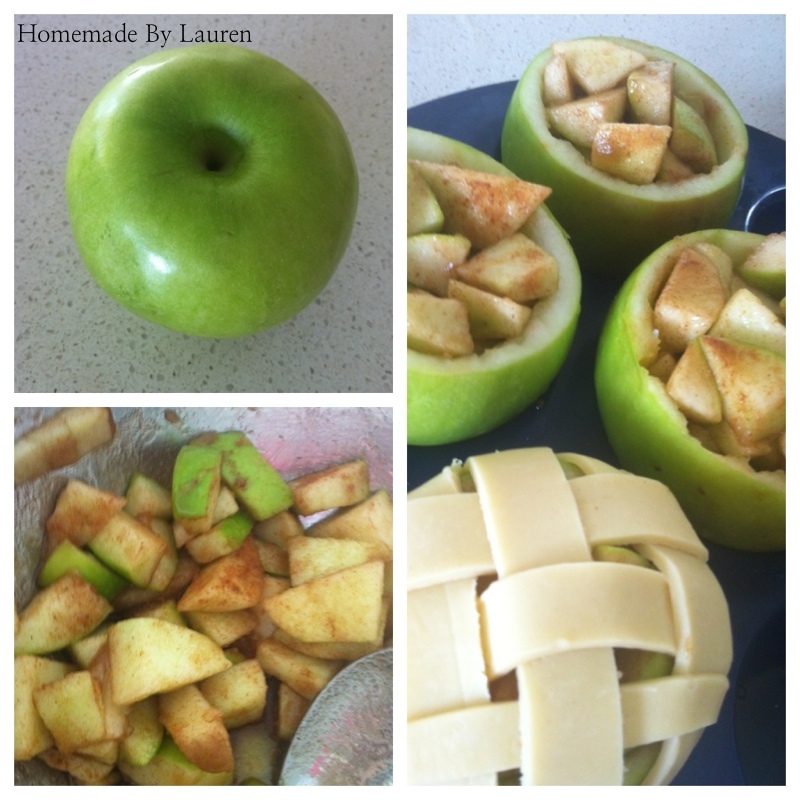 Pro's : It was quite easy to do and tasted very good. It was very healthy and pre-portioned so you know how many you need to cater for people. Con's : Quite tricky to eat with a spoon, may need to serve with a knife and fork to make it easier to eat. It also lost a lot of it's beautiful green colour in the cooking process. So, it didn't look as 'pretty' as it did before cooking. I would also try using puff pastry next time as the short crust was slightly underwhelming even with an egg wash and sprinkled with sugar. Would definitely try again but would experiment with a few tweaks first. It was met with happy dinner guests and everyone enjoyed it so that was the main thing! These didn't link up to a website for instructions, rather just an image, but there was enough info to create these and wing it. 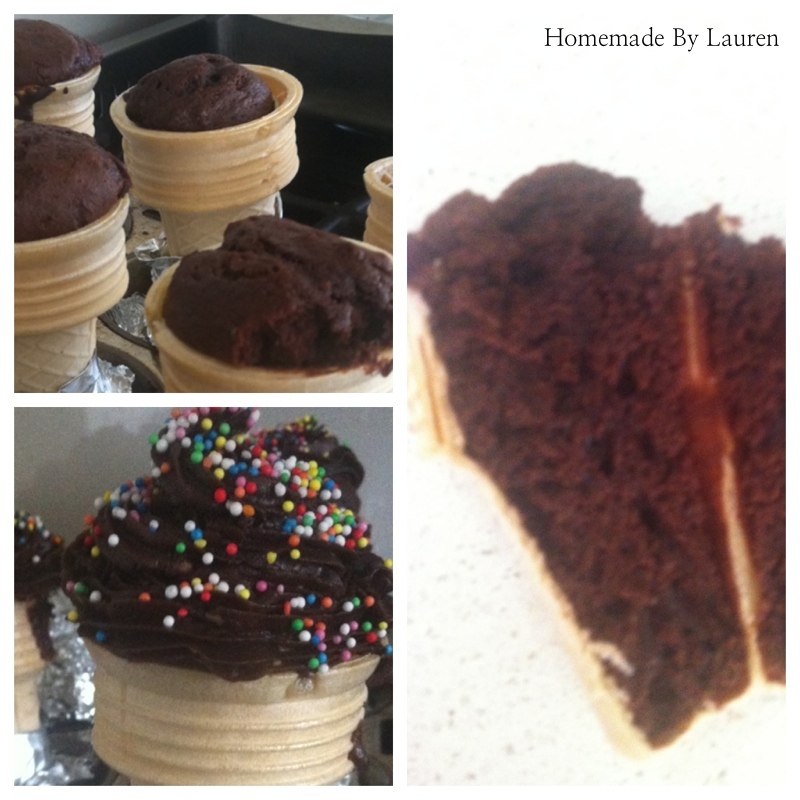 Just place cupcake mixture inside ice cream cones and use icing to look like ice-cream. This is made a whole lot easier by wrapping foil around the base of each cone and placed into muffin tins. This keeps them sturdy enough to stay upright whilst baking. Pro's : Perfectly portioned for the kids which makes it easy, very cute and appetizing. Con's : Hard to transport (but this could be rectified had I thought more about it....as I type now I think that putting them in a container with rice inside or something could have kept them separated and upright), the cones do go a little soft the next day (not soggy though) so you can't make that far in advance. I had a lot of fun making these desserts, but despite a few things I would change for next time, we all had a great night together and enjoyed the company of some very lovely friends!